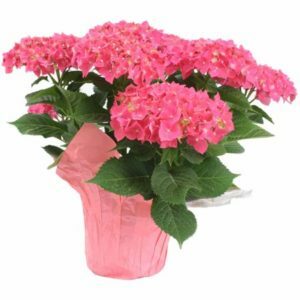 Baby Rose plants, ideal gift for all occasions, almost all colors available in a cachepot. 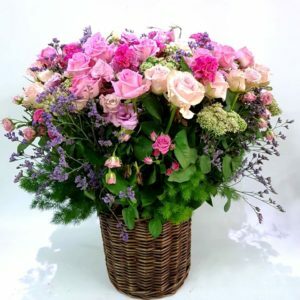 Just like the rose bouquet, our blooming rose plants are great gifts for birthdays, anniversaries and so much more. Their bright colors will excite and their fragrant blooms always please. 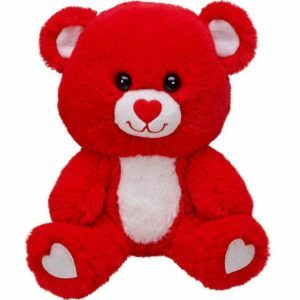 Send to mom, grandma, your wife, or your neighbor when you want to give an extra special gift. Order your Rose plant now online, send it to anywhere in Lebanon with our same day delivery service. 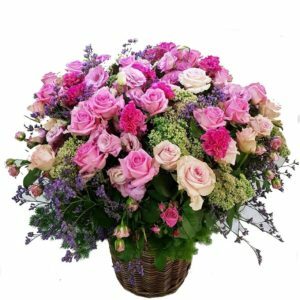 Buy Rose Plants Online: Each and every flower color carries its own connotation and meaning, and rose plants are no exception. 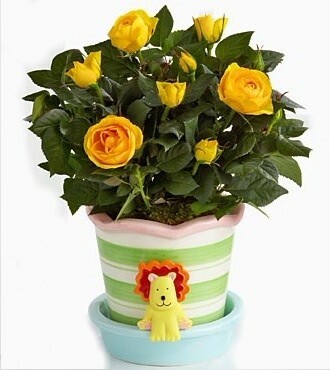 Order yellow rose plants online for a cheery greeting that delivers a touch of sunshine and warmth to the home. Yellow roses are also a great choice as birthday roses that will brighten the birthday girl’s day. Lasting gifts, like our red roses to plant, are a thoughtful and unique gesture. 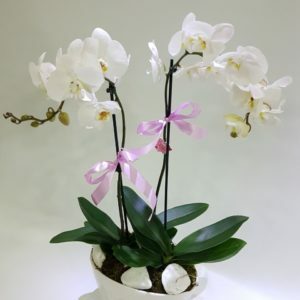 When you want to buy a flowering gift for someone who lives far away then simply send roses online and let Flower Zone Boutique take care of the rest for you. Giving a pink rose plant is the perfect gesture when you want to show your mom you’re thinking of her on Mother’s Day even though you can’t be there. 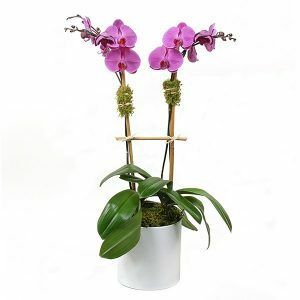 Or send your friend with an enthusiastic green thumb a birthday gift they would appreciate to tend and care for. When you buy roses online today, all you have to do is tell us when and where you want them sent and we’ll make sure they are delivered radiant and on time. 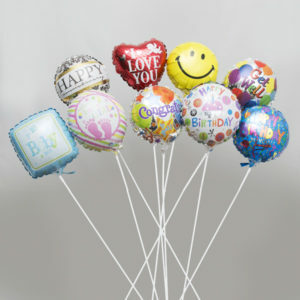 Flower Zone Boutique guarantees to get your order delivered to any location for your special occasion celebration. Effortlessly find an array of high in quality, cheap rose plants when you shop Flower Zone Boutique’s unique selection of ready to bloom, easy care roses online. 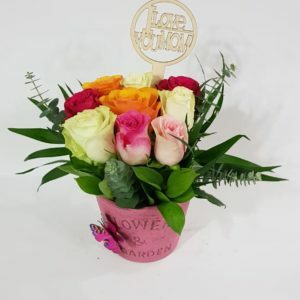 From pink roses to orange rose plants and multi-day gifts, you’ll find exactly what you’re looking for with our selection of petite rose bushes online.